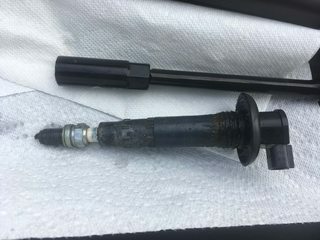 Recently two of the three ignition coils unseated after approximately 10 minutes of operation under load at about 7000 RPM. It is unclear to me how this happened. The spark plugs were torqued to 119lbf-in (per manufacturer) 5 operating hours prior and were still tight after this occurred. All components have operated 22 hours since they left the factory. The engine was winterized at 17 hours per manufacturer's procedure. That procedure includes applying lubricant that seems to completely seal the ignition coil against the cylinder head. Winterization was performed at a temperature of approximately 12C (53F). I'm not sure what the engine temperature was at the time of the unseating. The cooling system has a monitor that sounds an alarm at 110C (230F). That alarm did not sound. The engine is a Rotax 1503 HO in a BRP RXT-X aS 260. 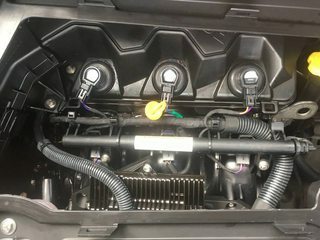 Is it likely that the ignition coils are becoming unseated by the force of increased air pressure under the ignition coil seals caused by the temperature increase? Is there a good way to relieve such pressure without completely defeating the seal? 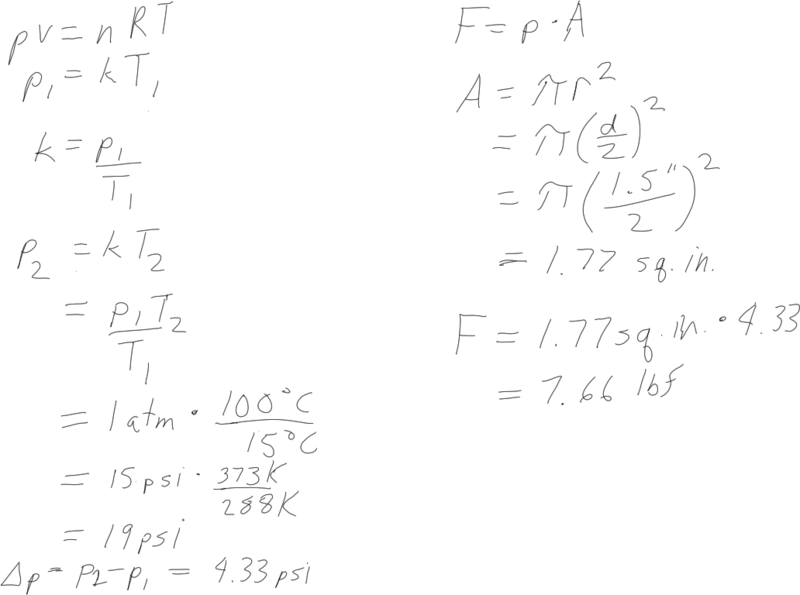 I did some physics to calculate the upward force of the air on the ignition coils. Assuming a seal diameter of 1.5", an installation temperature of 15C and an operating temperature of 100C, the upward force developed by air pressure works out to approximately 7.5 lbf. I'm not sure how to interpret that number. I don't have a good way to test whether 7.5lbf would be enough pulling force to unseat the coils. As best I can tell the unseating of the ignition coils was resolved by not replacing the spark plugs. Re-torquing alone did not resolve the problem. It seems that once the metal gasket is crushed by the first installation it will not make a good seal on the second installation. In other words, these spark plugs (or at least their gasket) should be replaced every time they are removed. Browse other questions tagged temperature pressure ignition-coil seal pwc or ask your own question. Should I use lubricant or not when installing these spark plugs? What Is The Output Voltage For The Mazda 626 GF 2L 98-2002 Coil Pack? My 2008 Hyunai Accent is misfiring on two cylinders, bad gas? What are the benefits of direct ignition (coil on plug) system? Ignition coil overheating: what to blame? Can I add a gasket to my exhaust valve to reduce leak and increase cylinder pressure?